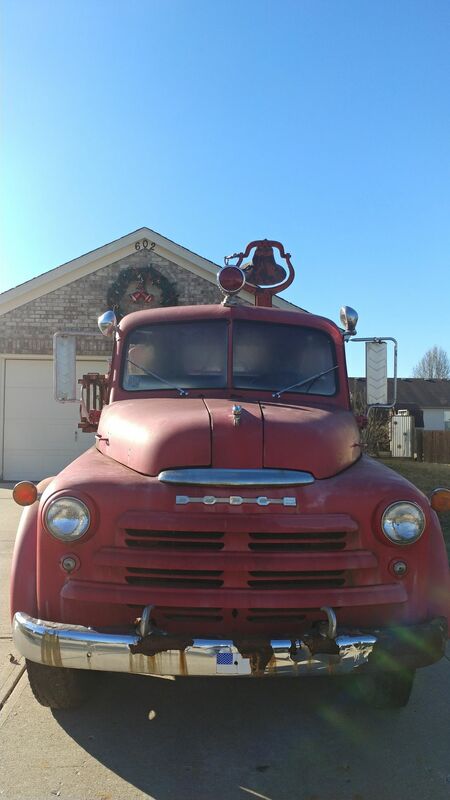 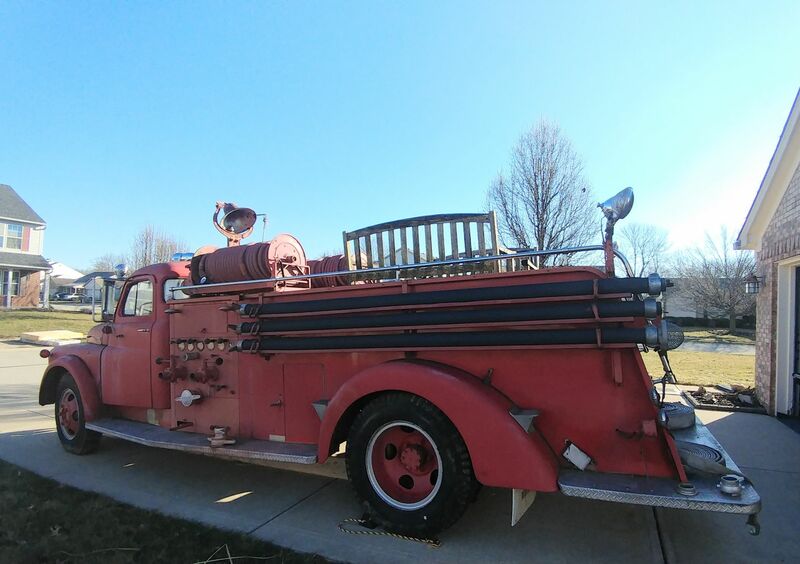 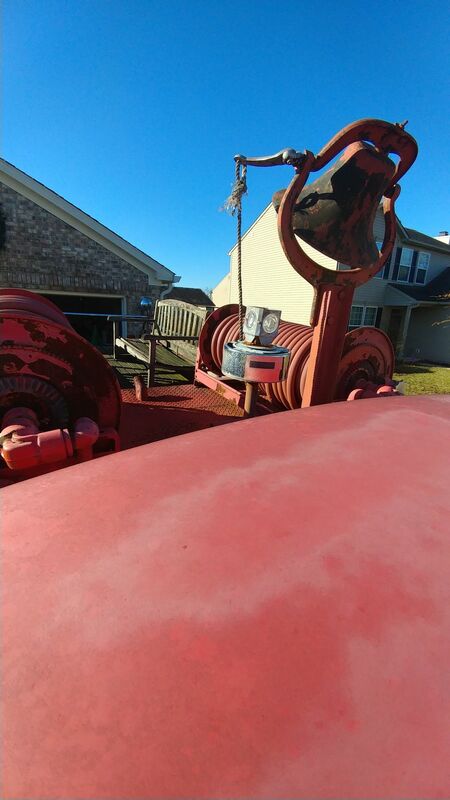 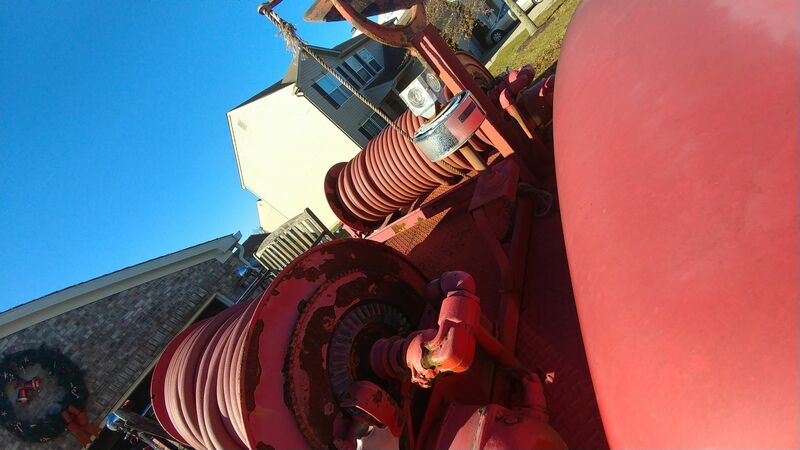 1950 DODGE Pumper Fire truck (U0730) :: Fenton Fire Equipment Inc. 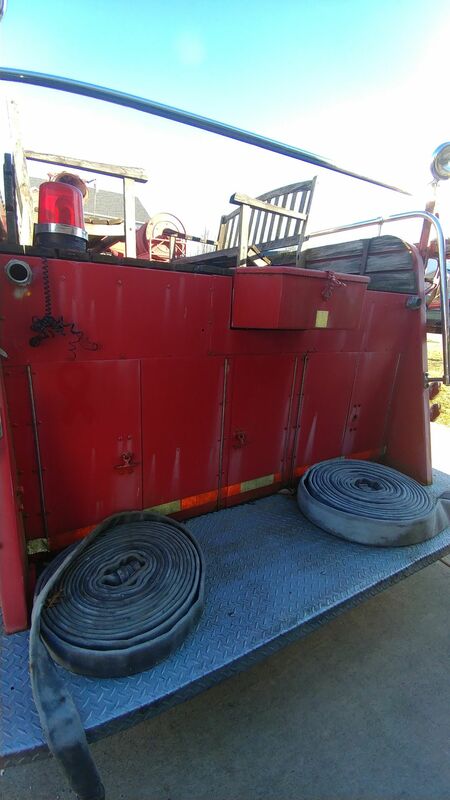 Original ladders and hoses, lights and bell. 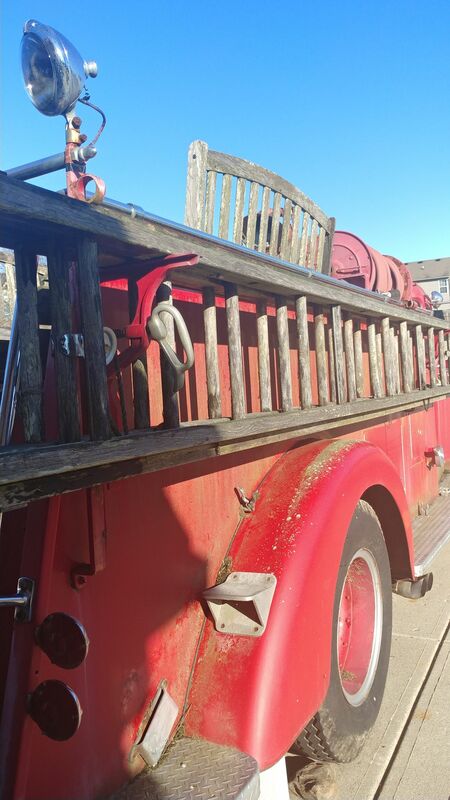 It has 2 wooden benches on top.